Outlaw Country Artist Randy Howard, a major label recording artist best known for his humorous and explicit anthem “All American Redneck,” was shot and killed by a bounty hunter in his home in Lynchburg, Tennessee on Tuesday night (6-9), and some are wondering why the songwriter had to die over a bench warrant. A bounty hunter working for A Plus Bail Bonding in Dunlap, TN was serving a warrant from Marion, County, TN when a gun fight ensued inside Randy Howard’s house on Griffin Rd in Lynchburg. The bounty hunter entered the premises, and when he was met with gun shots, he returned fire, killing Howard in what he claims as self-defense. The bounty hunter was also seriously injured in the incident, and was transported to Erlanger Hospital where surgery was performed. The bounty hunter is expected to recover. 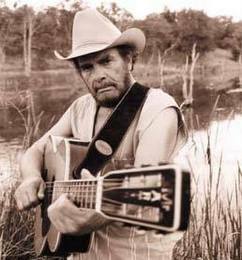 In two separate incidents, Merle Haggard publicly criticized the current direction of country music. The Hag was also interviewed ahead of a show in Toledo, Ohio at the Stranahan Theater on September 9th, and didn’t mince words when questioned what he thought about today’s country sound and the artists making it. Mainstream country artist Jason Aldean becames the latest to think it is socially acceptable to paint your face black (or in his case, a dark shade of brown) as part of a Halloween costume or comedy skit. 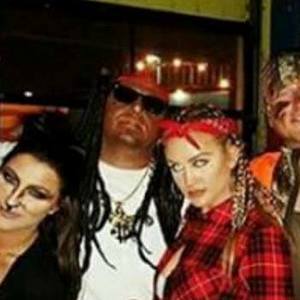 In a photo discovered on Instagram right before it was either taken down or made private, Jason Aldean could be seen hanging out with his wife Brittany Kerr and other friends on Halloween, clearly wearing color-altering makeup on his face as part of a costume as either a dread-headed Rastafarian, or possibly a “gang banger” as it has been characterized by some, and may have been characterized by Aldean and his friends. Wearing a red bandanna, black sunglasses, and a wig of long black dreadlocks, Aldean poses with his head tilted back, while his wife Brittany Kerr can be seen just to his right in a red flannel shirt with her hair in braids, possibly flashing gang signs. Further corroborating that the photo is indeed Aldean and Kerr, Jason Aldean’s sister Kasi Williams Morstad can be seen in the far right of the photo in a cat costume the same exact one she is seen wearing in other Instagram photos from earlier in the evening. Though it may be tough to make out Aldean in the photo at first, the man in blackface clearly has Aldean’s specific facial features when examined closely. Perhaps one of the most remarkable parts of the story was how it didn’t become a bigger issue. Numerous celebrities have faced harsh criticism in the past for wearing blackface. Jason Aldean wasn’t even forced to publicly apologize. 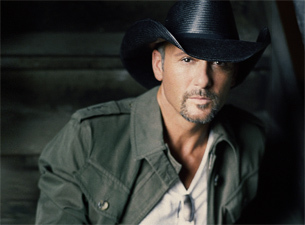 On Monday, April 15th, it was announced that country star Tim McGraw, along with scheduled openers Billy Currington and Chase Bryant would play a concert at the Infinity Theater in Hartford, Connecticut on July 17th, with 100% of the proceeds going to a charity organization called Sandy Hook Promise. Sandy Hook Promise was set up in the aftermath of the school shooting at Sandy Hook Elementary on December 14th, 2012 where 20 children and six adults were shot and killed by 20-year-old Adam Lanza. Later, opener Billy Currington pulled out of the concert. Chase Bryant remained on the bill. In the end, despite the drama when the concert was announced, McGraw played the Infinity Theater without without much fanfare or concern. Texas country artist Stoney LaRue was arrested for domestic abuse in Oklahoma City early Monday, July 20th, after police received a 911 call from Stoney’s girlfriend. 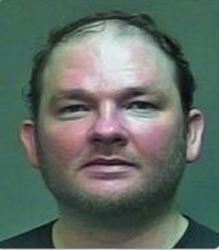 Stoney was arrested without incident, booked into the Oklahoma County Jail and was later released on bond. When the girlfriend woke up early the next morning is when the incident occurred. This is the number of albums Toby Keith sold upon the debut of his new record 35 MPH Town, and it got me to thinking, which artists and bands have beat that number in a year of unprecedented ascent in independent country music? 2015 is the year it became common to see one of your favorite independent acts and aging legends compete at the top of the album charts, and not completely fall off the radar the very next week. It started at the beginning of the year with Blackberry Smoke, and hasn’t stopped since. And virtually all the albums were also responsible for #1 debuts. Of course it’s a different day in music, and passive consumers are streaming their music instead of buying records more and more. But meanwhile, independent country fans are holding form, supporting the artists they love with unwavering loyalty, as the ranks of independent fans continue to swell. 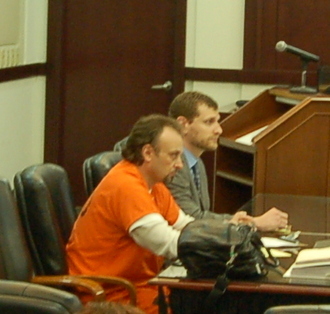 Chris Ferrell at previous sentencing hearing on April 10th. Christopher Michael Ferrell has been found guilty of 2nd Degree Murder in the shooting death of country music artist Wayne Mills. The verdict was read by the jury at 3:25 p.m. in the court of Judge Steve Dozier. It took the jury just over two hours of deliberations to come to the verdict. Chris Ferrell will be sentenced on April 10th. He faces 15 to 25 years of a mandatory sentence for the crime. Because of the ruling, Ferrell’s bail was immediately revoked, and he was taken into custody. Ferrell showed little emotion when the verdict was read. The family of Wayne Mills was quiet, but clearly relieved by the verdict. This was the heartbreaking, devastating news that fans and followers of the traditional country and bluegrass duo Joey + Rory, and people beyond the music community who had been following their tragic story woke up to on Friday, October 23rd. Joey Feek the wife of Rory Lee Feek, and mother of one-year-old Indiana Feek, is ending her battle with stage IV colorectal cancer. After surgery in July and five weeks of radiation treatment, the Cancer has returned, and been deemed terminal. Chris Stapleton won New Artist of the Year, Male Vocalist of the Year, and Album of the Year at the 2015 CMA in early November. This created a wave of momentum for Stapleton that will continue well into 2016, and resulted in one of the largest post-awards sales spikes ever seen in music. There’s a awards show bump, and then there’s Chris Stapleton’s awards show bump. 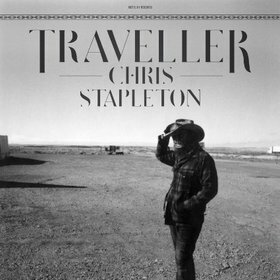 After shocking the country music world by walking away with wins for New Artist of the Year, Album of the Year, and Male Vocalist of the Year at the 49th Annual CMA Awards, sales for his debut release Traveller have positively exploded to unprecedented levels, especially considering the general malaise album sales are in across music. 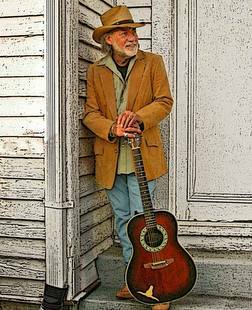 James Cecil Dickens was born in Bolt, West Virginia, and began his musical career performing on WJLS radio while attending college. In 1948, Roy Acuff heard Dickens on the radio, and introduced him to Columbia Records and The Grand Ole Opry, and soon “Little” Jimmy was a mainstay on the radio show and releasing studio records. The “Little” came from his small stature, but Hank Williams later nicknamed him “Tater” after one of his most recognizable early hits “Take an Old Cold Tater (And Wait).” Hank originally penned his song “Hey Good Lookin’” for Jimmy, but later recorded it himself, saying it was “too good” for his Opry friend. In an interview posted with Keith Hill on Tuesday (5-26) in Country Aircheck, the industry consultant not only advised country radio not to play female artists, and certainly not to play them back to back, but had the audacity to compare them to the “tomatoes” of the country music salad in a quote that smacked of Blake Shelton’s “Old Farts and Jackasses” or Gary Overton’s “If you’re not on radio, you don’t exist” quotes in the ripeness for public backlash on the insensitivity Richter scale. “If you want to make ratings in country radio, take females out,” Keith Hill said point blank in the interview. On February 25, the CEO for Sony Nashville at the time uttered the words, “If you’re not on the radio, you don’t exist,” and a proverbial firestorm ensued. Numerous Texas country artists publicly criticized the CEO for his words, including Aaron Watson, and Charlie Robison. 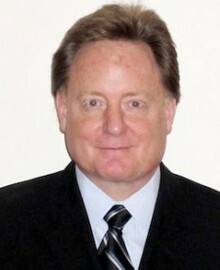 Robison’s rant inspired Florida Georgia Line to respond, and eventually Gary Overton lost his job, though many believe he was on his way out of the position before the comments went public. Gary Overton’s comments became a rallying cry for many of country music’s independent artists who are not played on the radio. 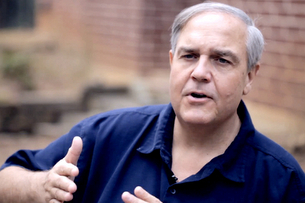 In the face of more and more independent artists releasing successful records, including multiple titles that went #1 in 2015, Overton’s comments symbolized just how out-of-touch the country music industry is and was with the shifting tides in music. 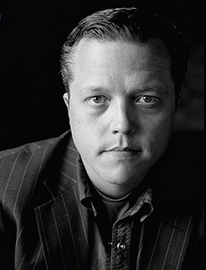 Isbell, Smoke and LaRue, Heck Ya, I check this web page everyday Trigg! 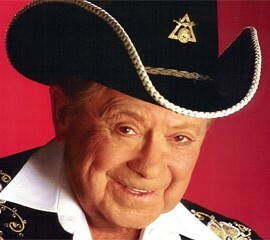 Little Jimmy Dickens – what a career. According to my old aunt, my great grandmother (who passed away long before I was born) saw him perform when he was young, and I know I got to see him perform when I was young. My first cousin’s wife’s uncle was one of his pallbearers/musicians. We lose so many legends every year, but I have to single out Lynn Anderson, also, if for no other reason than that I grew up hearing my mother sing that “Rose Garden” song around the house more times than I can count. My old Scoutmaster used to go hunting with Dickens and Ralph Stanley, whenever I think of that story I imagine Little Jimmy being blown away by the recoil on his gun. That dude’s from the old school generation. Probably handle the recoil better than you. Bigger gun too. Anybody heard LoCash yet? If that n Chris Lane is what’s in store for 2016 its gonna be miserable. Those are the two artists I just cannot stomach. Lo cash has been a pretty heavy touring band for the last 6 years playing clubs all over. Chris has been pushed pretty hard the last few years as he opened up for Florida Georgia line for a bit. Its complete garbage and we have a due diligence to bury it. What, no Force Awakens review, Trigger? You have to waste our time with all of this relevant news coverage and historical album discussion when you could be tackling STAR WARS? For shame. In other news, I’m still sad to know Little Jimmy is gone. I picked mine up on the day of release. I decided to get it at Best Buy as they usually have new releases stocked on the first day. Welp, this time they didn’t; I had to wait over 30 minutes for a group of associates to find the four copies they were due to receive. I grabbed one and went to check out. I happened to go to Best Buy a week or so ago and there was a menagerie of copies in the new releases section as well as a bunch crammed into the shelf in front of his name in the standard music section. I found that to be amusing for whatever reason. Thanks for the compilation of these! Love the site. How about David Allan Coe fulfilling his lifelong fantasy of actually going to prison? 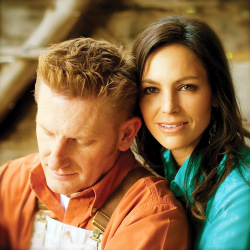 Joey Feek’s illness and the heartbreak that must bring her family and friends is unimaginable . Likewise for her many many fans, of course . Young , pretty , gifted , dedicated to the traditions of country music, her husband and kids ……it was only just starting for this awesome talent . This is the kind of story which, I believe , makes anyone remotely human question their faith regardless of which faith that may be . Just so sad and …bewildering . I missed that Jason Aldean story. Didn’t think it was possible for me to like him any less. What a jerk. That’s not what “blackface” is, I know it, Trigger knows it, and you know it. Much ado about nothing. Not that I like him or anything, but what a bunch of tripe. This is the modern-day blackface. If not, then what is he supposed to be? A guy who stayed out in the sun too long? He’s supposed to be Lil’ John or Wayne or whoever. Who cares? Was it offensive to white people when the Wayans brothers did it in the movie “White Chicks?” Wikipedia has a great article on “blackface,” go check it out, you might learn something. Hope this post doesn’t “trigger” you and you’ll be able to keep your marbles about without being offended. This is a list of news stories. Jason Aldean wearing blackface was news. If it wasn’t news, nobody would have cared about it, and it wouldn’t have made this list. 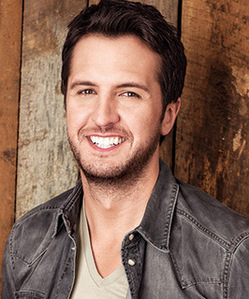 Nor would have CNN, TMZ, Buzzfeed, and dozens of other outlets reported on it after Saving Country Music did. You and others commenting on it proves you care, and you care about it just as much, if not more than the other stories presented here. That’s why it was a big story in 2015. Writers don’t choose what are big stories, and what are not. The public does. And they chose Jason Aldean wearing blackface as a big news story. That’s why it’s here. The more you profess how much of a non story it is, the bigger the story becomes, and the more you justify it being here. I’m not saying it was right or wrong that Jason Aldean wore blackface. All I’m saying is that it is news. Which it was. Just like when conservatives flipped out on Tim McGraw for playing a Sandy Hook benefit. Yeah that was kinda funny to see that it made top stories of the year, but I guess that’s the world we live in. Trash news is more important than real news to most people. I know what blackface is. I’m not offended, I just think you’re wrong. I think we should add another big story.. How Eric Church found favor with SCM!! !